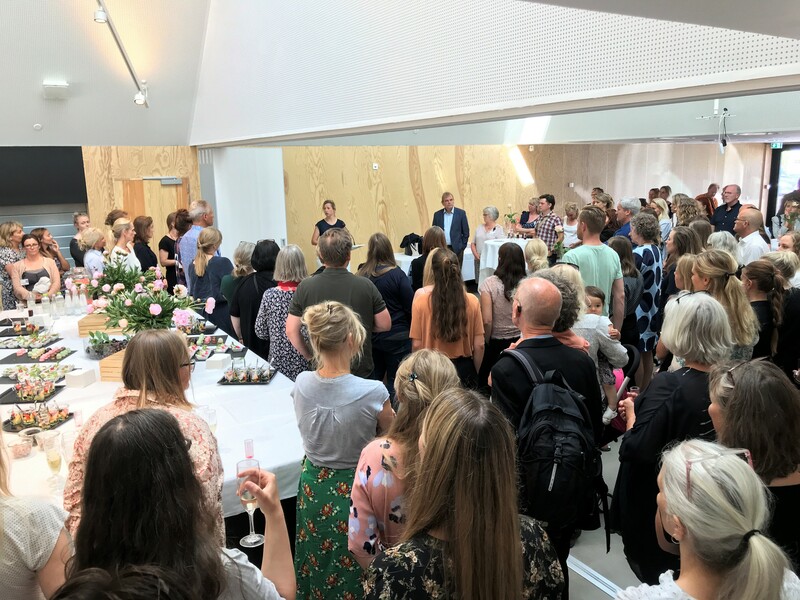 Sophie Hæstorp Andersen, chairman of the regional council, welcomes guests at the opening of the new centre in Ballerup, Capital Region. The Capital Region has officially opened its new and state-of-the-art center for patients with eating disorders, featuring integrated dynamic lighting as part of a research trial. At the forefront of the research project are chief physician and research leader Jan Magnus Sjögren from the Psychiatric Center Ballerup and the University of Copenhagen, together with the associate professor and Ph.D. Michael Mullins, associate professor and Ph.D. Georgios Triantafyllidis, from Aalborg University, who hope to gain knowledge about how to work with intelligent lighting in relation to the treatment of patients with eating disorder. The new 5000 square meter centre, located at the Psychiatric Center Ballerup, combines outpatient functions, day care and integrated beds. In addition, the new building houses a dining house and good facilities for conducting meetings, courses and major events. Read more about this pilot study here (in Danish).